Now, I am most excited to show you the quilt in its entirety! 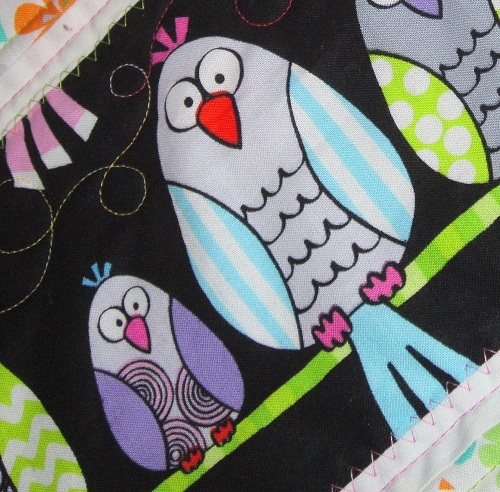 My Birds on a Wire quilt uses one of Kanvas/Benartex’s new fabric collections, Let’s Tweet. Click here to view the fabric range. I hope you will enjoy making this fun horizontal strip quilt, if you are going to make the quilt. 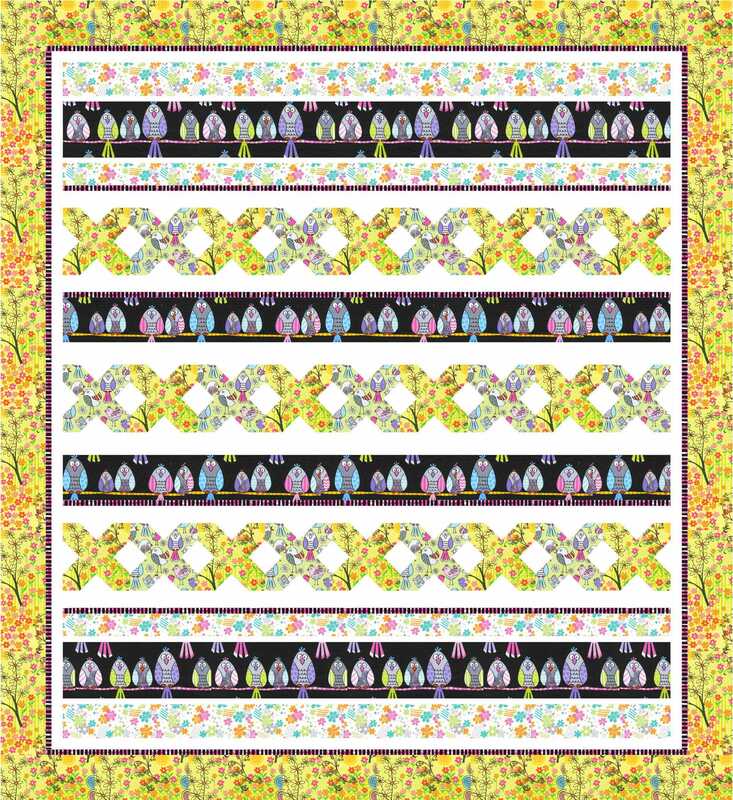 This quilt design is offered by Benartex as a free-to-use pattern. Click here to download the pattern instructions. p.s. 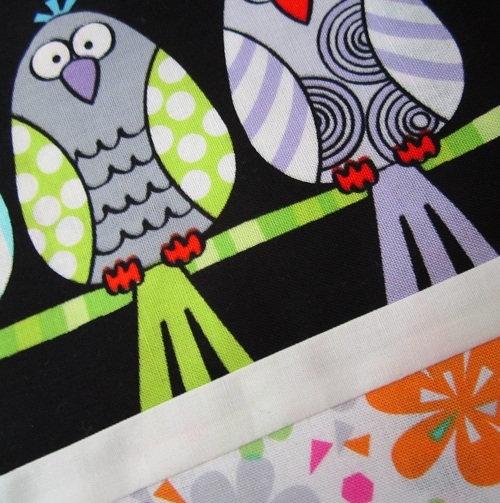 Have you taken advantages of the other 2013 freebie patterns I have shared with you? 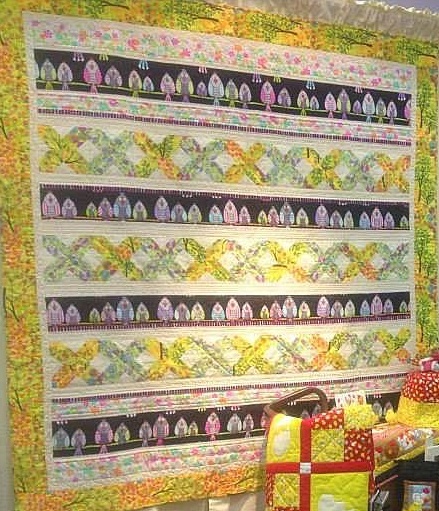 This entry was posted in Freebies, Ideas, Tutorials, Quilt Pattern, Quilting, Quilts: Pieced and tagged Bird Quilt, Free Quilt Pattern, Horizontal Strip Quilt, Kanvas/Benartex Let's Tweet, Wendy Sheppard Designs. Bookmark the permalink. ← Lynette Anderson’s Wildflower Wood companion goodies & Giveaway winner! What a super cheerful quilt. Love it. And I love the fabric too. Whimsical birds always catch my attention. Thank you for the free pattern. Love your quilt. Those owls are so cute! Sadly, I have not taken advantage of the free patterns you’ve provided this year as I was too busy. I’m hoping I’ll have some time now and can take a look at what you’ve been doing. Just adorable Wendy! Hope you have a restful weekend as well. How very cute! Love it! Will make a cute summery wall hanging. I love row quilts!! They are a great break!! Looks great!! Just adorable! I hope others will post their own quilts made from this pattern. I love to see what gals come up with. Cute quilt!!!! Those little owls are awesome!!!! Very tempting!! !